Mortal Kombat 11 already has a host of fighter characters in the game. Last week Mortal Kombat 11 closed beta went live, bringing Jacqui Briggs and Kotal Kahn among other characters in the game. Now, a new character called the ”Cetrion” has been added to the game. 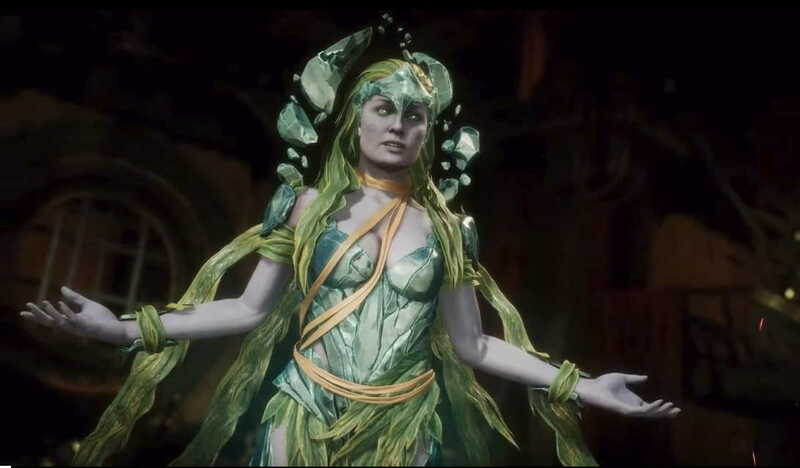 Cetrion is described as an Elder Goddess and she comes with the power that can unleash the plant, rock, and elemental-based attacks. Seems like she has some special connection with the earth. Cetrion has also got its official reveal trailer, where he can be seen throwing stones, unleashing plants from the earth and more. To know more about her power you can check out the new reveal trailer of the Cetrion below. In the trailer above, Cetrion seems like a kind of a tree, which has the power to unleash its roots that goes from below the earth and hits her opponents. She also has a special power with stones that you will find rolling all around her. Mortal Kombat 11 will be available on PC, Xbox One, PS4, and Nintendo Switch on April 23. The Mortal Kombat 11 closed beta is also up and running and will end on April 11.